One Michigan lawyer says on TV: “When it comes to auto negligence, nobody knows the law better than we do.” Why he’s wrong. We desperately need a truth squad for legal advertising. Unfortunately, one doesn’t exist. And the claims on television commercials by some personal injury lawyers are getting more absurd and more bombastic than ever. What do the attorneys at Michigan Auto Law know about “auto negligence” law? What percentage is devoted to handling “auto negligence” cases? 100%. Helping people who have been injured in automobile accident cases is all we do. Our law firm focuses exclusively on litigating car accident, truck accident and motorcycle accident cases throughout the entire state. We have law offices in Farmington Hills, Detroit, Ann Arbor, Grand Rapids and Sterling Heights. Does the law firm have a proven record of trying and winning “auto negligence” cases? 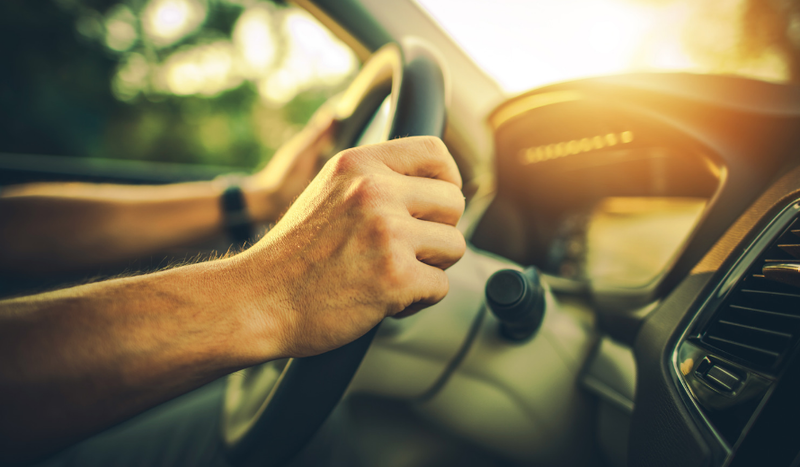 Michigan Auto Law has received the top-reported trial settlement or trial verdict in Michigan for a car accident or truck accident in seven of the past 10 years. Here is a list of Michigan Auto Law’s most recent million-dollar trial verdicts on auto negligence cases. Incidentally, the lawyer claiming to be the auto negligence expert on television now? If you look and compare, almost all of his advertised biggest verdicts have nothing to do with auto negligence cases. They are mostly medical malpractice cases, police misconduct cases, or involve completely different areas of personal injury law. Is the law firm successful at winning “auto negligence” cases without having to go to trial? Our settlement results in auto negligence cases are published every year in the Michigan Lawyers Weekly compilation of the top verdicts and settlements. We believe excellent trial results result in our ability to attain faster and better settlements than attorneys who practice in other areas of law. See for yourself here. Does the media (newspapers, radio and TV) rely on the attorneys as “go-to” experts on “auto negligence,” auto accident law and No Fault auto insurance issues? Michigan Auto Law attorneys have been quoted in hundreds of news articles by publications and television and media outlets on various auto accident, trucking and No Fault insurance-related issues. Do other lawyers trust these attorneys because of their deep subject matter knowledge and legal experience of Michigan’s “auto negligence” laws? Significantly, we don’t have to advertise on television, billboards, or buses because of the results we’re been able to achieve for our clients. Our biggest sources of referrals are other Michigan lawyers, who show their trust in us by referring to us to litigate their car accident, truck and motorcycle accident cases. Do other lawyers rely on – and learn from – this law firm’s attorneys because of their legal experience and deep subject matter knowledge of “auto negligence” law? Michigan Auto Law attorneys have lectured and presented as subject matter experts at more than 300 state and national legal seminars on “auto negligence” and auto accident litigation. Oh, and the lawyer who is currently running these commercials on television saying no one knows more about “auto negligence” law in this state than he does? He’s spoken on medical malpractice a couple times, but we couldn’t find one legal seminar or No Fault Institute seminar he’s ever given on “auto negligence” and litigating auto accident cases. Are the attorneys involved in legal organizations on “auto negligence” laws and helping victims of automobile accidents? Michigan Auto Law attorneys hold the following legal leadership roles: President of the Motor Vehicle Trial Lawyers Association; founding member of the Truck Accident Attorneys Roundtable; Past President of the Interstate Truck Litigation Group of the American Association for Justice; Chair-elect of the American Association of Justice Traumatic Brain Injury Litigation Group; former Representative for the Association of Plaintiff Interstate Trucking Lawyers of America; Past Co-Chair of the Michigan Association for Justice’s Automobile Accident No-Fault Committee; past member of the Auto Negligence Model Jury Instruction Committee; Executive Board Member of the Melvin M. Belli Society; Representative of the State of Michigan for the Taos Injury Lawyers Society; Chair of the State Bar of Michigan Negligence Law Section and Past-President of the Michigan Association for Justice. The attorney making the commercials? We couldn’t find any legal leadership positions. What does the law firm do to help young car and truck accident victims? We support an annual “Michigan Auto Law Car Accident Injury Survivor Scholarship,” which is available to college students who were victims of car accidents and who have overcome their injuries to pursue an education. What does the law firm do to protect young children? This is a very important issue for our attorneys. There is nothing more tragic than a young life lost or catastrophically injured in a motor vehicle crash. Our attorneys regularly publish on the Michigan Auto Law blog important safety information about Michigan’s Child Car Seat Law. And the most important test of all: are the clients of this law firm happy with the help they’ve received? Michigan Auto Law has received the outstanding Clients’ Choice Award from Avvo for excellent client communication and service. But don’t take our word for it. Please read for yourself what our own clients have said about Michigan Auto Law. You can read over 1000 reviews from real clients here. And all of them were involved in “auto negligence” cases! As for the statement that “nobody knows the auto negligence law better than we do,” I trust that when people know all the facts, they’ll draw the correct conclusion for themselves. If you’ve been injured in a Michigan auto, truck or motorcycle accident, what kind of lawyer do you want to help you? A lawyer who has devoted his or her entire career to handling “auto negligence” cases … exclusively. A lawyer with a proven track record of trying and winning auto negligence cases. A lawyer who has been successful at winning auto negligence cases without having to go to trial. A lawyer whom the media considers a “go-to” expert on auto accident law and auto insurance issues. A lawyer who, because of his experience and knowledge of auto negligence law, is trusted and relied on by other lawyers. A lawyer who is a leader in legal organizations dedicated to improving auto laws and helping victims of car, truck and motorcycle accidents. A lawyer who helps young car and truck accident victims and their families. A lawyer who promotes child safety by acting and offering free child car seat inspections conducted by his law firm’s certified car seat safety technician. Of course, you would want — and you would need — a lawyer who possesses all of those all of those qualities.